This is a proposal for a standard district rezoning, to rezone 2.29-acre from R, Rural District to SO, Suburban Office and Institutional District. 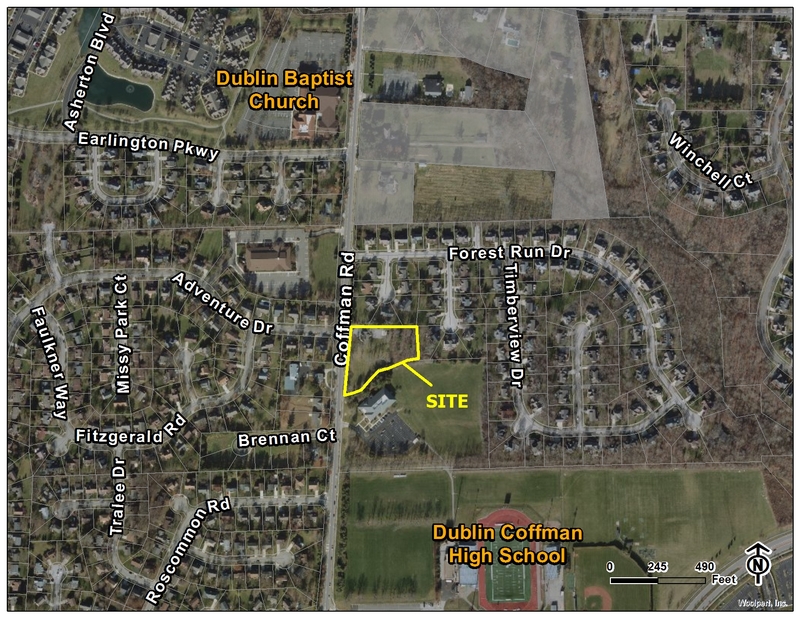 The site is located est of the intersection of Coffman Road and Adventure Drive. This is a request for review and recommendation of approval to City Council for a standard district rezoning under the provisions of Zoning Code section 153.232.